During the lull between the winter holidays and New Years, I used the quiet to unpack some of my recipe collections. The one that stopped me in my tracks was a small 3x5 scotch plaid patterned box holding my dad and stepmother's well used recipe cards. My dad's almost illegible handwriting, a folded page of carefully typed Tuna Pancake instructions -- the food stains evidencing the popularity of this dish. Despite sounding horrible, the pancakes (or tortillas) were quite delicious. Each recipe carried with it a memory more specific than the ingredients. Like a cultural anthropologist on steroids, I began to dissect these cards noticing the common use of rich, but pedestrian ingredients. Most dishes were casseroles, stews and soups requiring simple pantry ingredients and slow cooking. The names of these dishes evoke a different time, Western Meal in One, Rumanian Cabbage Soup, Swedish Meatballs. The reference to "foreign" foods (Rumanian and Swedish) echo the very different demographics of Los Angeles at that time. Based on the 1960 census, we were a county of about 6 million people of which more than 5 million were white, largely suburban, and "middle class." Our understanding of authentic, culturally diverse eating was constrained by our inexperience, access and naiveté. Descriptors like the "Far East" referenced a framing of our known experience as central both geographically and psychically. These eating "adventures" were just a faint echo of the food and eating revolution that was to come. We, lucky ones who now live in Los Angeles County, are part of 10 million. Latinos represent nearly 50%, followed by whites, and then ethnicities whose descriptions reference a growing understanding of identity, culture and community. With this distinctiveness and connection comes a brilliant authenticity in food ingredients, sources, and evolving tastes. Artist plate by Steve Wong. For your eating pleasure and dive into Los Angeles food history here is the original Tuna Pancake recipe circa 1960. As a side by side, I include the ever brilliant home cook Mario Rodriguez' queso fundido. While ingredients, heat level, and cultures seem to have little in common, they actually are neatly paired by the great trifecta of dairy, protein, and starch underscoring our enduring love of comfort food. Both fill the bill beautifully. Enjoy! 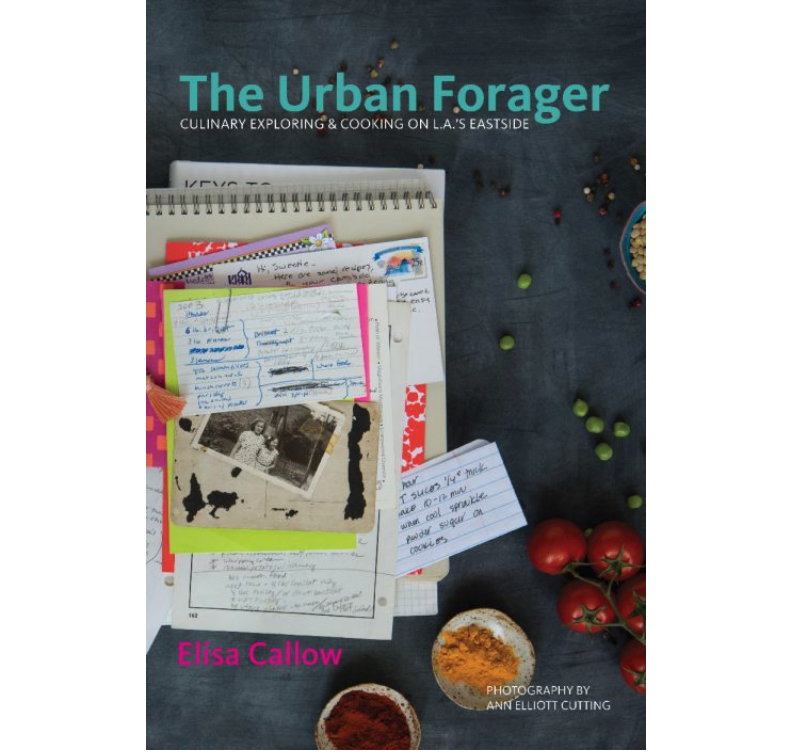 Never miss a post from the Urban Forager! Sign up with your email address to receive news and updates.